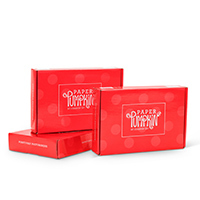 Each month a fully-designed project kit arrives with all the stamps, ink and paper you need to make an amazing project. With a variety of projects like cards, gifts and décor; creativity is at your fingertips. 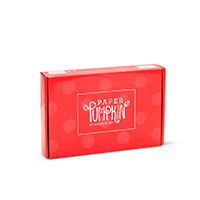 It’s easy to skip to the fun with Paper Pumpkin! Subscribe for only $19.95/month (shipping included) or choose a 1, 3, 6 or 12-month limited subscription. Month-to-month subscriptions allow you to easily sign up and get started. Sign up before the 10th of any month, and your kit will ship around the 15th each month. You can suspend (for a month) or cancel at anytime. Prepaid subscriptions allow you to pay ahead for 1, 3, 6, or 12 months and they come with a few perks! Select a prepaid subscription length below.